Our manufacturing process combines an ETON Unit Production System and total quality management. From a product's inception on our CAD system to its completion, we track every component and operation. 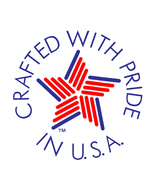 Every detail is managed by a qualified staff with an abundance of sewn products experience. Please feel free to call on us anytime with questions or stop by for a visit. We would be pleased to show you around the factory and explain how a relationship with Dow Cover can benefit your company.